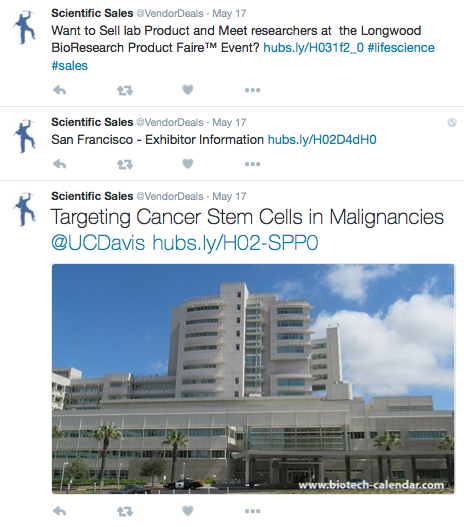 We are happy to reintroduce our @VendorDeals Twitter for life science marketing professionals. This is a great opportunity for lab equipment manufacturers and lab supply companies to save money as they connect with their target market at top research campuses across the country. We'd like this to be a fun and friendly way to engage our current and future customers and to provide real value to companies in the Life Science Marketing Arena. We expect that this Twitter resource will transform over time to provide you quality savings in the life science marketplace. 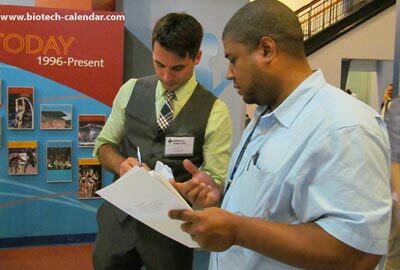 @Vendor Deals is a balance of reminders about upcoming events, early registration deadlines, new trade shows in new markets, advertising, and marketing specials, interspersed with exceptional value program and sales and marketing tips. If you are seeking research statistics on academic and industrial research markets nationwide, you can access the Science Market Updates Blog. And always, you are welcome to ask questions of our fun, friendly, and knowledgeable team. 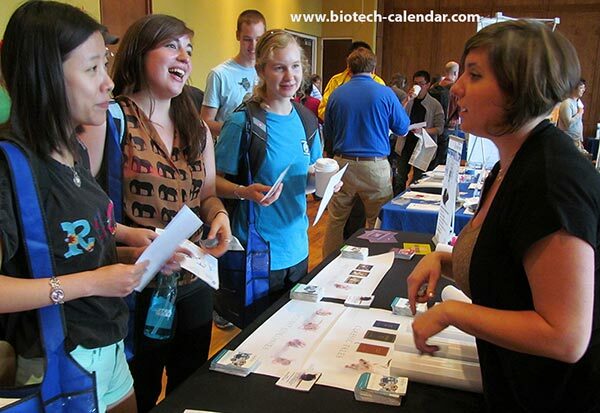 Let us help you succeed in selling your products in the research science market!